Have you had this problem before with a stored procedure that has a temporary table? While I was using a stored procedure as a source for my OLEDB connection, No columns was listed in the source editor. 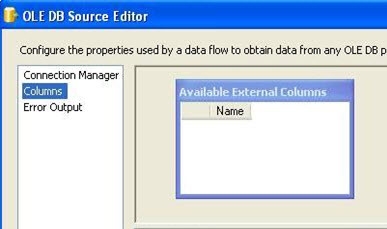 This will force the parser to return only the metadata to SSIS. Hope that helps and feel free to share any findings on when do you get this issue.